Perfect for every reptile lover! 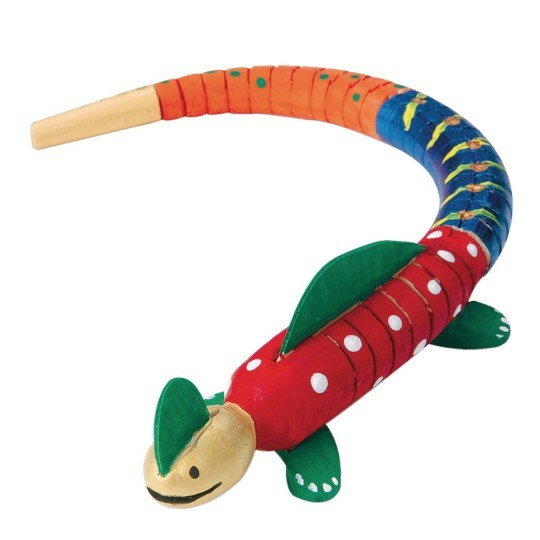 Body bends and flexes and makes a realistic slithering motion! Perfect for every reptile lover! Body bends and flexes. 12"L. Includes paint, brushes, and instructions. It's fun and flexible already assembled and easy to paint. The kids love it because it's wood and it's an animal. we used these as baby dragons with our summer camp medieval theme. I should have bought enough for all the staff. This was a favorite and the boys age 8-10 loved creating their own dragons. Some legs were missing but we decided it added to character. 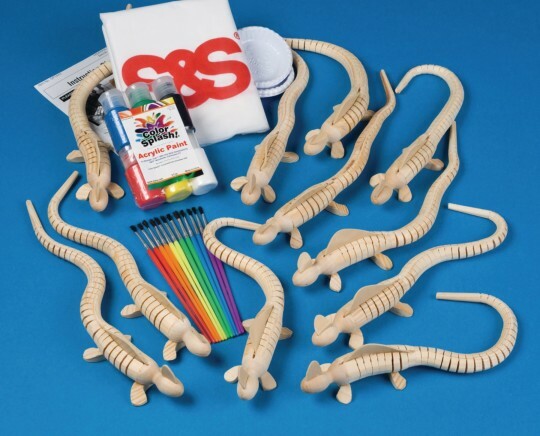 Lizards are part of our VBS theme and the kids will love painting these lizards. I had a few of them arrive with broken parts but SS customer service took care of that immediately. This is a great project. The kids can be very creative coming up with different color choices. We used this craft as one of our grade school craft activities for summer camp and all the kids loved them! They were able so show their own creativity by painting the lizards any way they wanted to. Everyone enjoyed this including our high school counselors!